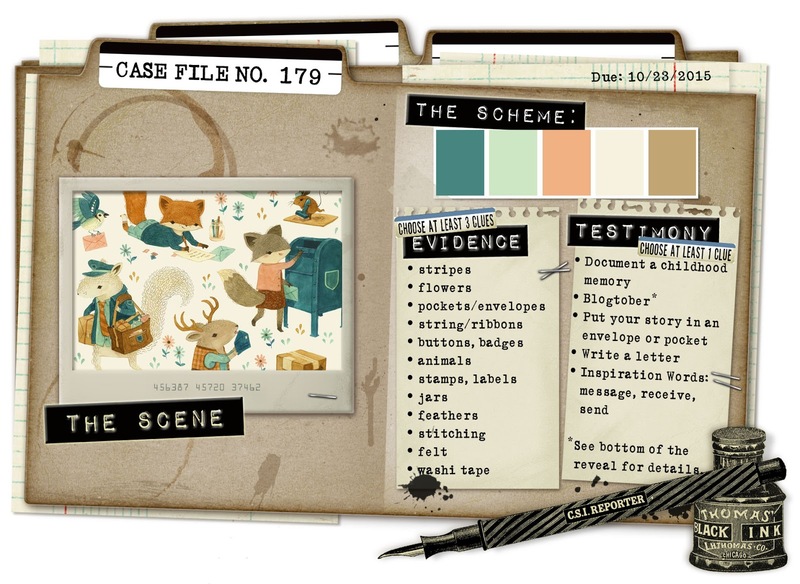 CSI stands for Color Stories Inspiration and it's one of my most favourite challenge sites. Debbi Tehrani has found this beautiful Scene for us to investigate this week - from this she's pulled a gorgeous colour scheme, as well as loads of ideas for design elements and journaling prompts. 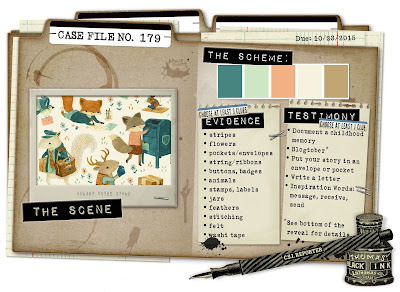 In order to solve the case, you need to make a scrapbook page using all the colours in the Scheme, three items from the Evidence list and at least one piece of Testimony. 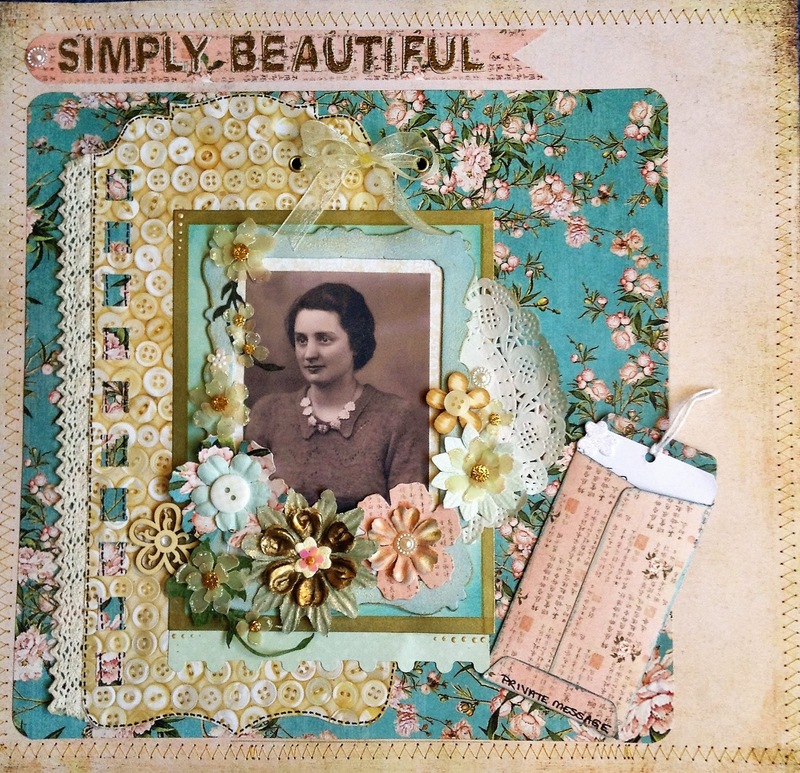 Amanda has made a really pretty page to showcase this wonderful photograph of her beautiful Grandmother. But did she follow all the clues???? Trina made this lovely layered page about her penfriend from many years ago. And the clues??? Testimony: document a childhood memory, write a letter, put journaling in an envelope. And finally, here's mine, which is all about a happy sunshiney walk with my son last Christmas. I love how you can see my husband's shadow, so he is in the picture too! Testimony: journaling is inside the envelope labelled "dreams" and tucked behind the photo. It's always interesting to see the different interpretations on the same project. All three layouts are lovely and unique in their own way. You've over achived the challenge, Annie, with 8! pieces of evidence! Georgie Gets a Hallowe'en Makeover!